On 2nd May and 4th May, accompanied by a delegation from Swinburne University of Technology led by Prof.Alan Lau, Pro-Vice-Chancellor (Research Performance and Development) visited Shandong University, Weihai, The government of Lingang district and Shandong university(JINAN) by Branch Manager Ellen HAO of SDUW (AEMG) and Branch Manager Catherine LIN of SUST (AEMG). On 2nd May, Prof. Chen Guanjun, Vice President of SDUW, together with relevant directors from science research department and School of Mechanical, Electrical and Information Engineering met with the delegation. On 3rd May, the delegation visited the industrial park of carbon fiber in Lingang District and met with Wang Wen and other relevant leaders from Lingang District. In the meeting, the four parties discussed the cooperation between industries and university, the admission of PhD students and construction work of the JRC. 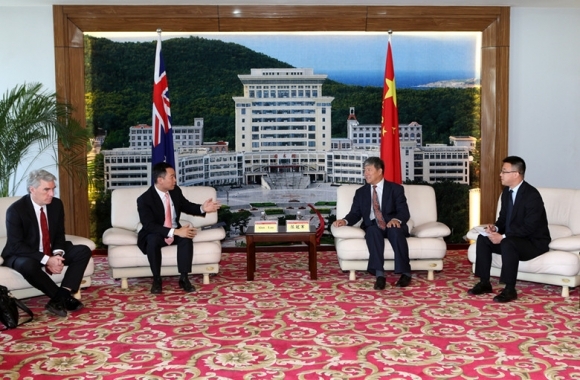 On 4th May, at the invitation of Shandong University, the delegation of Swinburne University of Technology visited China, under the leadership of Professor Allen Lau, Pro Vice-chancellor of Swinburne University of Technology, Professor Geoff Brooks, Director of Research Centre (China), Assoc. Prof. Shoujin Sun, Deputy Director of Research Centre (China). The delegation was accompanied by AEMG to visit Qihe Research Center of Shandong University. The delegation was host and met by Prof. ZHU Bo, Deputy Director, and Carbon Fiber Engineering Research Center of Shan Dong Province.